The remote regions of Ha Giang offer voyaging experience like no other, the cultural decent variety and remarkably breathtaking scenes remain pure and pristine by the modern day trappings. Our tour gives you the chance to take in the highlights of this remarkable area, making the most of your time by staying with families, talking to locals to maximize your cultural discovery. Besides, you will have a chance to visit Ba Be Lake where is peaceful with stunning landscapes. 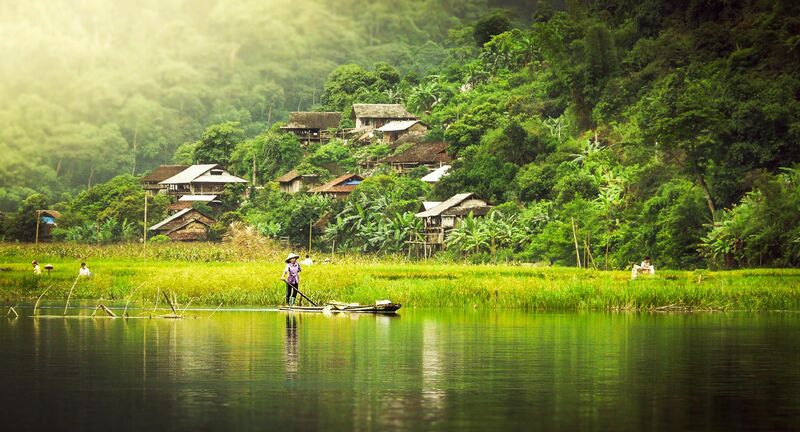 The tour Ha Giang and Ba Be Lake 4 days of Ultimate Odyssey Travel will take you off the beaten track and bring you real rural life experience. Discover hill tribe culture: Visit villages of the minorities, meeting with them and learning about their indigenous culture. Discover the largest natural lake of Vietnam, the lake on top of the mountain. Visit untouched cave, underground river and waterfalls. Today morning you will be picked up by tour guide and driver of Ultimate Odyssey Travel. We will depart from Hanoi to Ha Giang. 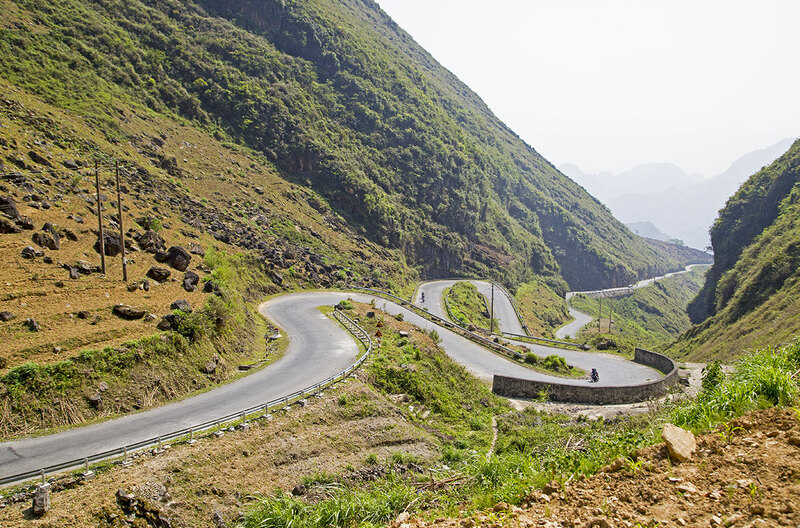 The drive to Ha Giang takes around 7 hours but it is some of the most breathtaking scenery in Vietnam. On the way we will stopover at some places to visit small villages and take wonderful photos. After the long drive, we will stretch the legs and take a short walk around Ha Giang to visit a Tay and Nung village, set in a picturesque valley near town. Tonight we will overnight in Ha Giang. In the morning, we will drive to Quan Ba district. On the way we will stop in Quan Ba to visit the Bo Y minority village which has wonderful weather around year. Lunch wil be served in Yen Minh town. Take rest for an hour then we will continue the trip to Sa Phin village to visit the Former H’Mong King’s Palace. Later, we will arrive Dong Van district in the late afternoon, take rest and walking around the ancient town of Dong Van, having dinner in the town. Overnight in Dong Van town. If today falls on Sunday we will have chance to visit Dong Van ethnic market, where all kinds of goods and multi-colored clothes can be purchased. The people here still remain their traditional life of remote minority tribes. After hang around the Sunday market we will drive from Dong Van along the Nho Que River and go through Ma Pi Leng pass which is considered as the most beautiful pass in Vietnam. After two hours later, we will arrive in Meo Vac. Have a short rest before drives to Ba Be Lake. Tonight we will have dinner and enjoy beer time in home stay, enjoy the nice river view and overnight at homestay in Pac Ngoi village. After breakfast at the homestay, check out and leave the bags in the car. Don’t forget your camera though because today is a chance for some more great shots. Travelling on our private boat, you will go through the entire length of the 3 connected lakes (Ba Be - means Three Bays) and up the Nang River. You will continue down the beautiful river surrounded by flourishing wildlife until you reach the enormous tunnel of Puong Cave which measures and impressive 300m long by 30m high. This is the result of millions of years of erosion from the flow of the river. The boat will then take you to Dau Dang Waterfall and you will take a short walk to visit Dau Dang waterfall upriver to a small Tay village. After some time in the village, it will be time to bid farewell to Ba Be. Have lunch at a local restaurant then you start your return journey to Hanoi (about 240Km). You will be arrive at your hotel in Hanoi at around 17:00. Ultimate Odyssey Travel would love to serve you next time. Ha Giang - Ba Be 4 days tours of Ultimate Odyssey Travel offers you the highlights of the region driving along the main road, visiting typical places that can not be missed when visiting the province. The tour is type of driving one, most of your time is spent in the car for driving from this place to another place but we will do our best to give you good paces so that you won’t feel tiring of doing the tour activities. Accommodation is expected to be basic but the top of the areas will be used for your best comfort possible. Food is very local, too. There is no western food to expect except bread, fried eggs for breakfast at some places. Meals are at local food stores but we always choose the most acceptable one.